How do I export invoices? You can export individual invoices by opening the invoice → PDF and export it as a PDF file. 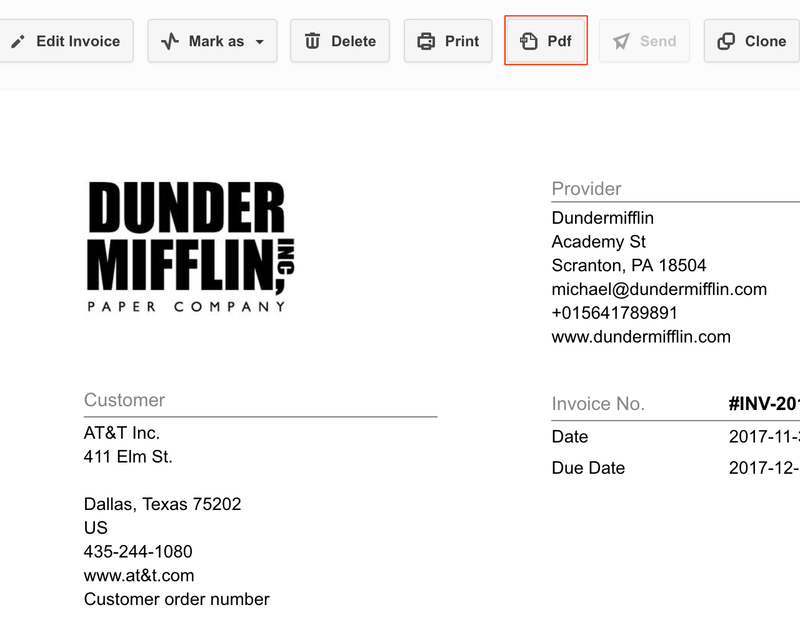 You can also download invoices in bulk. In order to do that you need to change the view from Simple → Table view and select the desired invoices → Export as and you will get a zip with the invoices saved as PDF. If you wish to export a list of invoices you need to click on Export as CSV and you can import the resulted file into Excel or Google Spreadsheets.